Francesco Cascarano was born in Mola di Bari (Italy) in 1990. He has shown interest in music since when he was a child and over time he did different musical experiences, that brought him to discover and play different kinds of musical languages. 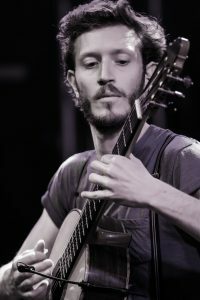 He studied classical guitar at the Conservatory of Music “Nino Rota” in Monopoli, where he achieved in 2013 the Bachelor’s degree in Music Performance with full marks and honour under the guidance of Massimo Felici. Francesco Cascarano continued his studies in Germany at the Hochschule für Musik, Theater und Medien in Hannover with Prof. Frank Bungarten, where he obtained the Master degree in Music Performance with the highest grade. He also has attended several masterclasses with great guitarists world renowned, including Lorenzo Micheli, Oscar Ghiglia, Zoran Dukic, Stefano Grondona, Nando Di Modugno, Jukka Savijoki and many others. Francesco Cascarano played many concerts during several music festivals and events, both in Italy and abroad like: Festival della Valle d’Itria in Martina Franca, Medimex 2015 – Bari, Klassik in der Altstadt – Hannover, Mudo und Musik 2015 – Hamburg, JazzWoche Hannover 2015, Stagione Chitarristica “Città di San Vito dei Normanni 2013”, Notti Sacre – Bari, Forum Neue Kammermusik Hannover, Internationale Alumni Akademie – Dresden and many others. His interest for the experimentations and for the new musical languages brought him to play and collaborate with composers, players and international artists (Günther “Baby” Sommer, Snezana Nesic, Manos Tsangaris, Medhi Jalali, Corinna Eikmeier,…) and promote the cooperation between different arts. For example the development in 2015 of the Theater/Music/Motion work Mars Nostrum with performance at the Theater Wrede + in Oldenburg and at the Theater in der List in Hannover. In 2016 the Iranian composer Medhi Jalali wrote for him the work for solo guitar Cesco op. 93. 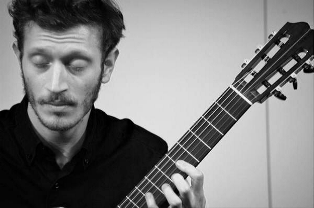 Francesco Cascarano conduct also several workshops about music and free improvisation and he is guitar teacher at the Gitarren Akademie Linden – Hannover. Francesco plays a guitar made by Gerhard Schnabl.